Yeah, that’s a good summary of how I feel about this. 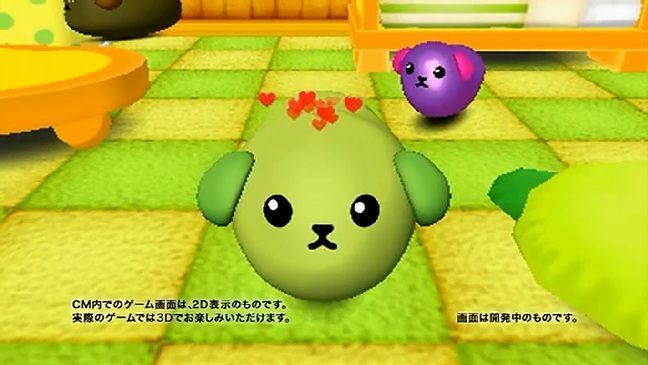 If you’re not familiar with it, Mameshiba is a dog-bean-thing that spouts trivia. It originally appeared in 30-second videos during commercial times, and then it got really popular, and now there are plush toys and books and stuff. And now there is what appears to be a virtual pet game about the thing. It looks like you can raise and interact with various Mameshibas and give them various accessories. Not too many details are available just going off of the trailer. It just seems really weird to me that something like this exists, but considering the large amounts of money the character’s made, I guess it makes sense. Hit the jump to view the trailer.